On August 19th, a2b Fulfillment employees put their logistics experience to work for The Second Harvest Food Distribution in Greensboro, Ga. Held every third Saturday of the month, the event distributes food to needy families within Greene County, Georgia. 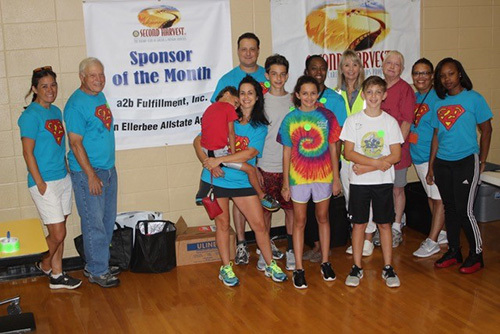 a2b Fulfillment was sponsor for the August event that included distribution of nearly 10,000 pounds of high quality food, including 4,700 pounds of fresh produce. The event reached 221 families representing 579 people.